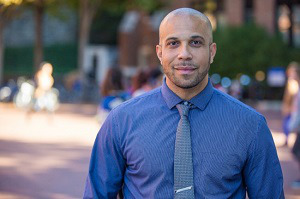 Brian Ferguson, a recent graduate from Georgetown University who was once wrongfully sentenced for homicide and exonerated after serving 11 years of a life sentence, has won a Marshall Scholarship to pursue a master’s of comparative policy at the University of Oxford. Ferguson is one of 48 students in the country to be awarded with this prominent scholarship. Currently, he serves as director of the DC Mayor’s Office on Returning Citizen Affairs. During his time as an undergraduate at Georgetown, Ferguson established a nonprofit called Start Line, which allows individuals who have been incarcerated to find and rate critical housing, employment and other resources related to social service, according to Georgetown News. Ferguson plans to study leading international policy trends and approaches to social policy and criminal justice reform while at Oxford, and later apply the results to a comprehensive and collaborative effort between governments and prominent universities to develop effective policy solutions.